On our drive back from Florida last month we took a detour to stop at the Unclaimed Baggage Center shop in Scottsboro, Alabama. 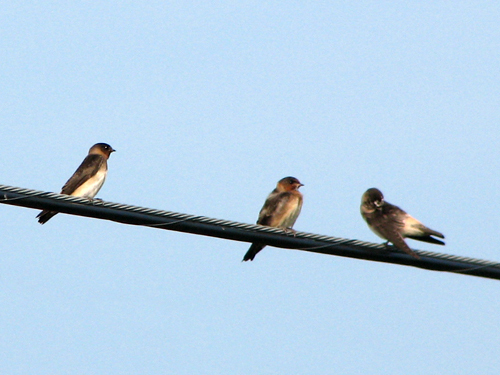 On the way we stopped for breakfast in Ft. Payne, Alabama, where we saw a colony of Cliff Swallows. 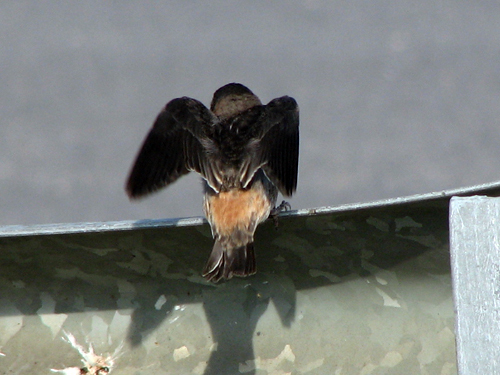 They were perched on service wires and flying around a man-made stream. The birds also frequently made stops under a pair of small pedestrian bridges that crossed the stream. 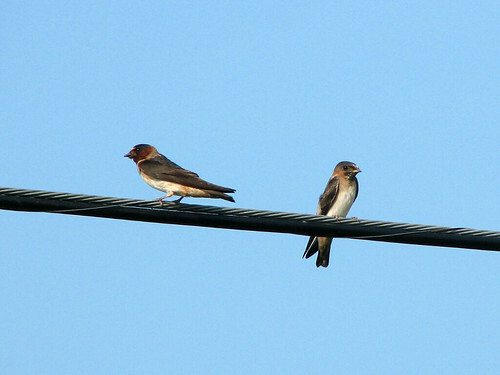 These Cliff Swallows were life birds for us and it was a lot of fun to watch their antics. Bird Photography Weekly is a regular collection of user-submitted bird photos from all over the world. The new edition comes out every Sunday. Thanks to Birdfreak for hosting this great blog meme – go have a look! This entry was posted in Bird Photography Weekly, Life List, Travel, Video. Bookmark the permalink. Nice photo. I especially like the last one with the wings partly spread. Nice captures of the birds on the wire Amy! I love swallows and this was an excellent place to stop wasn’t it? Plus you got a lifer too. It doesn’t get any better than that. Nice captures, they are so pretty with their little collars. Congratulations on your lifer, Amy! 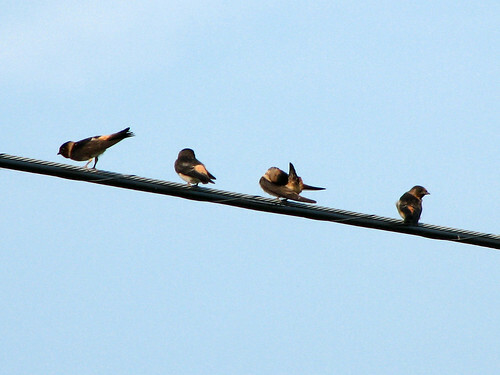 And not just one but a ton of Cliff Swallows!